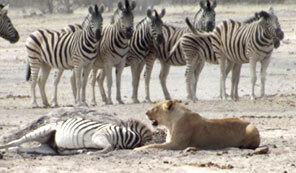 This Namibian Safari takes you on a wildlife adventure to the beautiful Etosha National Park. 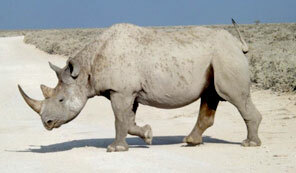 In the afternoon, we go out on our first game drive where we will experience Africa's wildlife up close. Today we travel through the park and into its eastern regions. We will spend the whole day on safari. We enjoy lunch at one of the resort camps inside the park and will have dinner and overnight at the Namutoni lodge. Today we travel back to Windhoek passing by lake Oshikoto, before continuing towards Tsumeb, well known for it minerals. We stop over at Otjiwarongo for lunch and visit the country's only crocodile farm. 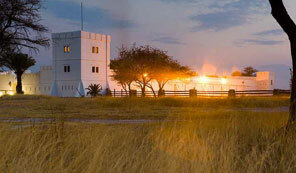 We arrive in Windhoek and return you to your accommodation. We hope that you enjoyed your time with Omuhimba safaris!